After a bit of a struggle with a balky bolt, space station commander Peggy Whitson replaced a failed external computer during a short, hurriedly planned spacewalk Tuesday while crewmate Jack Fischer installed a pair of antennas to improve wireless communications during future excursions. 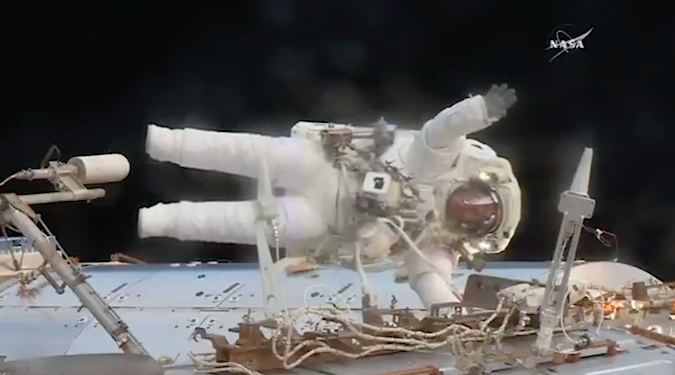 The relatively short two-hour 46-minute spacewalk was the tenth for Whitson, already the world’s most experienced female spacewalker, and it moved her up from fifth to third in the world with a cumulative EVA time of 60 hours and 21 minutes. Only cosmonaut Anatoly Solovyev and retired astronaut Mike Lopez-Alegria have more spacewalk time than Whitson, who also is NASA’s most experienced astronaut overall with 564 days in space, as of Tuesday, over her three station stays. 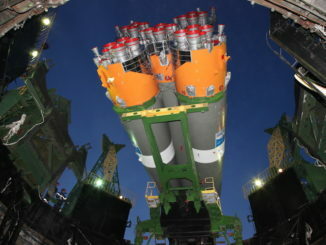 Her total time in space will stand at 666 days when she returns to Earth Sept. 3. Tuesday’s spacewalk was ordered when an external computer known as a multiplexer-demultiplexer failed Saturday. 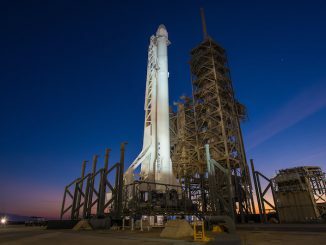 Two such avionics boxes are used to control a wide variety of station systems and while one can carry the load on its own, NASA managers wanted to get a replacement installed as soon as possible to restore full redundancy. The spacewalk began at 7:20 a.m. EDT (GMT-4) when Whitson and Fischer switched their spacesuits to battery power. 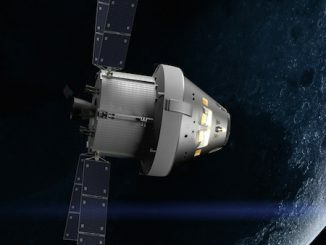 After leaving the station’s Quest airlock, the astronauts split up, with Whitson making her way to the lab’s power truss where the failed MDM was located and Fischer moving to the Earth-facing side of the Destiny laboratory module. “Oh my gosh, so beautiful!” Fischer said looking down on the Earth 250 miles below. He had no problems installing the wireless antennas while Whitson removed the failed MDM. But when attempting to install the replacement box, she felt the central primary bolt holding it in place was not as secure as she expected. She then removed the MDM and reported small shavings or debris floating from the vicinity of the central bolt hole. Fischer retrieved a cleaning tool from the airlock and helped Whitson spray compressed nitrogen into the primary bolt hole and two secondary fittings to clean out any debris. Whitson re-installed the MDM and while two of the three bolts did not drive in as many turns as expected, engineers decided the box was firmly in place. After plugging in an ethernet cable, Whitson stood by while flight controllers activated the replacement MDM for initial tests and checkout. A few minutes later they reported the box appeared to be in good shape and working normally. Whitson and Fischer then collected their tools and made their way back to the Quest airlock. Repressurization started at 10:06 p.m., officially bringing U.S. EVA-43 to a close. It is not yet known what caused the MDM to malfunction Saturday. Whitson, inspecting the failed unit after she removed it from the power truss, reported no obvious signs of damage to any of its electrical connectors. What might have gone wrong inside the box is not yet known. The space station uses 44 MDM computers, working in three “tiers,” to control virtually all aspects of the lab’s operation. Three top-level tier 1 MDMs are tied together, with one actively processing data and sending commands, one in a “warm” backup mode processing data but not commanding and one that is powered up but in standby mode. The tier 1 MDMs are double-fault tolerant, meaning the station can operate with two failures. The MDM that failed and an identical unit are part of the tier 2 command architecture and relay commands to a variety of critical station systems, including the station’s guidance, navigation and control system, the lab’s stabilizing gyros, the environmental control system, the station’s cooling system and others. Both tier 2 computers were installed during spacewalks March 30 and March 24 respectively, replacing two older units with models featuring upgraded data processing cards. It is not yet known whether the problem with MDM-1 involved the upgraded components or some other circuitry or software.